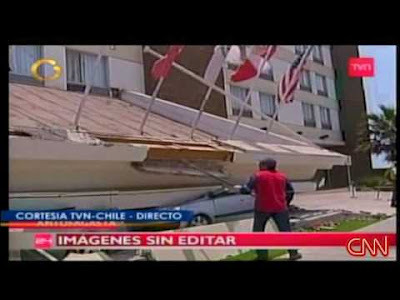 I watch in horror as CNN streams continuous coverage of the devastation in Chile. Another earthquake. The body count seems relatively low, but it’s still early. I missed the chance to go to Haiti. Oh sure, I sent money. I encouraged others to give. I prayed for the people there. But it didn’t feel like enough. I decide this time, I wasn’t going to miss my opportunity to be the hands and feet of Jesus. I decide to take a week off from work. There are people suffering, and I need to help them. Since I’m the boss of my own renovation company, I decide to reschedule all the upcoming jobs for the next two weeks. Sure, no work means no paycheck for my employees, but at least they have roofs over their heads. We all must make sacrifices in the face of such enormous tragedy. I finalize my plans. As my wife helps me pack for the trip, she laments that I will miss our son’s first band solo, and our daughter will be disappointed that I won’t be taking her to the father-daughter dance. This makes me sad, but when God calls you to a mission, you answer the call. I say goodbye to my family. We pray together, asking God to protect me in Chile and my family while I am away. One last check of my supplies – I need to make sure I have plenty of film for my camera. As I drive to the airport, I notice a sea of brake lights ahead of me. When I finally get close enough, I see an old, broken down car in the center lane. A woman with two young and unkempt children are in the car. She is on the cell phone, presumably calling her husband or boyfriend to come help her. People can be so irresponsible! I say a quick prayer for God to get me to the airport on time despite this unexpected delay. I refuse to let Satan keep me from my mission! Prayers answered. The traffic starts to move again once I get around the broken down car. As I approach the airport, I tune my radio to the AM station which gives parking capacity updates. Unfortunately, the lot at the airport is full. I will have to park off site and take a shuttle. I say a prayer thanking God for giving me the wisdom to leave myself plenty of time to get on my flight. Pulling into the shuttle lot, I spot a man – obviously homeless – approaching my car. I try my best to avoid eye contact with him, but it’s too late. As I pull into a parking space, he is approaching my car. Please Lord! I don’t have time for this! I roll down my window and explain to this man that I don’t have any money to give him. (I do, but I’m not about to help fund his addiction.) I ask him his name and promise to pray for him. I grab my luggage just in time to make the shuttle. I get through the security lines and run to my gate. Praise God for silver-elite status! My first class seat is waiting for me, and fortunately it is a seat by itself. I can spend time with the Lord instead of talking to a stranger on this long flight. The plane touches down in Taici. Santiago is still recovering from the earthquake, but I have arranged for a driver to pick me up and get me to the heart of the destruction. Now…where in the hell is my driver?